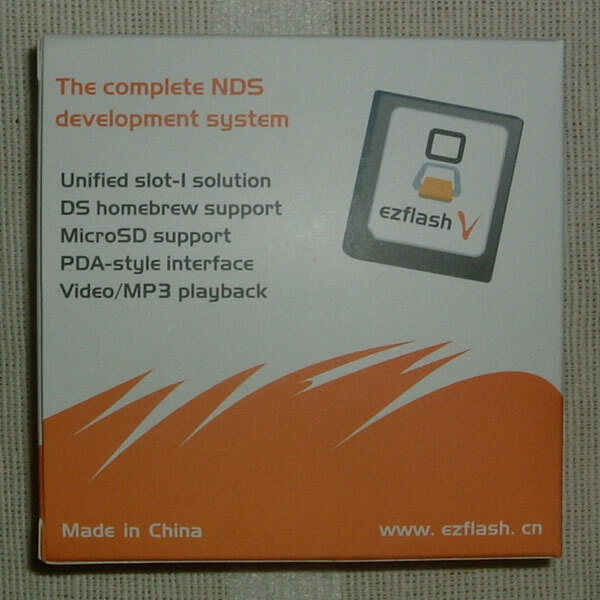 DS-Scene - View Topic: EZ Flash V Official Review - Read the official review inside. DS-Scene Forum Index DS-Scene Official Hardware Reviews EZ Flash V Official Review - Read the official review inside. 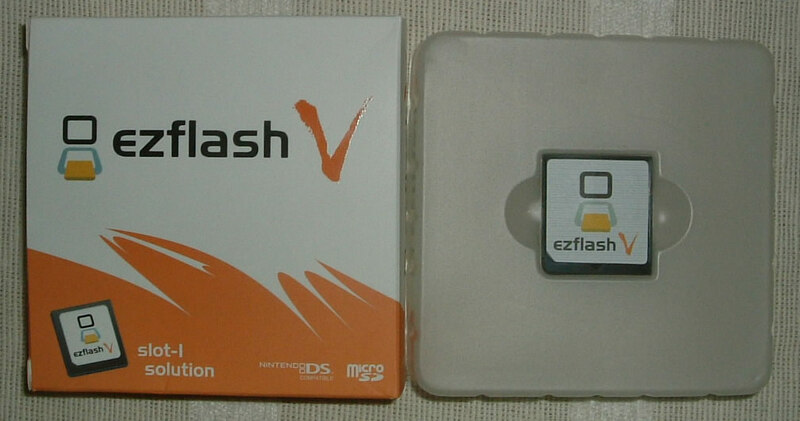 EZ Flash V Official Review - Read the official review inside. 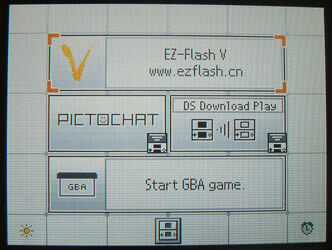 The EZ Flash V is made by one of the leading manufacturers of GBA cards and promises to be one of the best slot 1 solutions available. Our friends at KickTrading.ca kindly sent us one of these cards so we could put it through it's paces. Well that all sounds easy enough. Lets take a look inside the box. 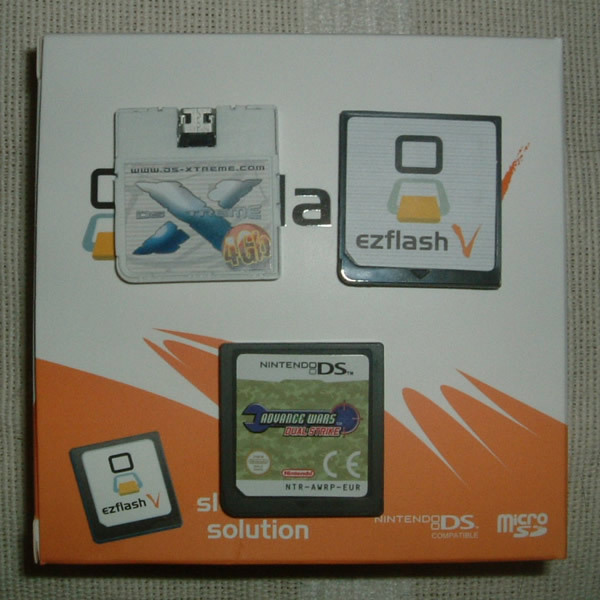 On first appearance the card seems to be a perfect replica of the official DS card albeit with a microSD slot of course. On closer inspection you can notice that the front of the card is moulded differently than that of an official card due to the contents that are packed inside. The plastic is good quality with no sign of any creaking or any concerns of breaking anything. The microSD slot however is a little on the tight side. Pushing the card in is not a problem but getting out again can sometimes be a pain. 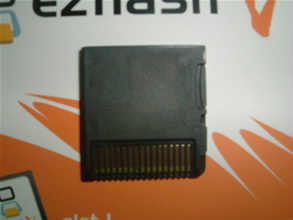 The slot could easily be in the top of the card allowing access without removing the DS card and still you would not need to worry about the microSD card falling out. Of course some may prefer the slot being in the side of the card and I can assure you, due to the perfect sizing of the case, you won't worry about pulling it in and out alot. 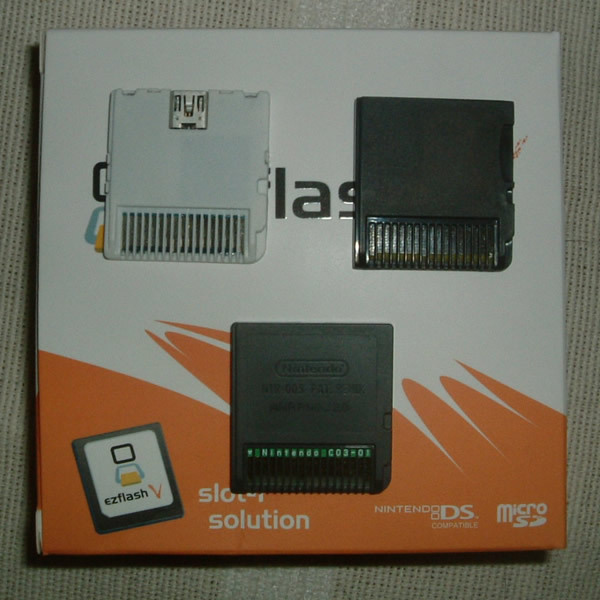 Sliding the card into the DS is no problem and it clicks into place perfectly and is removed just as easily and cleanly. Of course it fits in the Slot 1 just like any other official card. There's not much more to say about the hardware itself. The card is of a remarkable quality and can't be faulted, In the pictures above you can clearly see this. 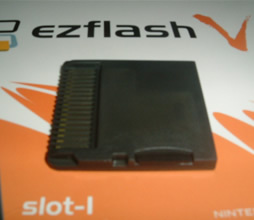 This is an optional tool that is used for trimming roms increasing the compatibility of the card. 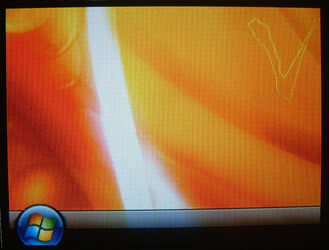 This is the main shell folder. You cannot use your EZ5 without it. 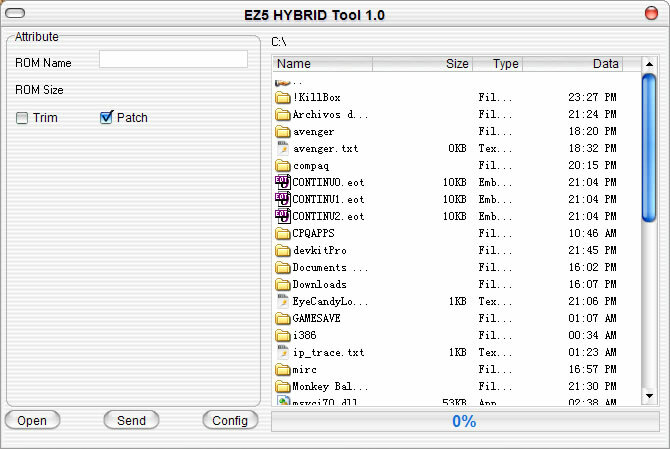 This is an updated loader for the EZ5. It's optional as there is one built in as default but it is always best to upgrade for better comptability again with commercial roms. Next I want to install all these files. 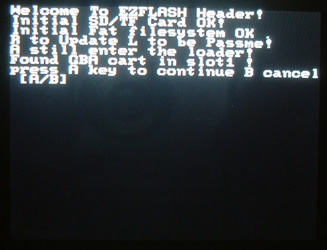 I start by formatting my microSD card to FAT32 then extract the shell folder to the root of my microSD card. I then updated the save list in the shell folder with the latest version. Next I want to update the loader so I put the update file on the root of my microSD and boot into update mode (see wiki guide and pictures above). The update process takes a few seconds to run and before long im back in the menu. No problems there. What I will say at this point though is that this process was a little long winded for new comers though the guide provided on the wiki is very good and anyone should be able to follow it with ease. It would have been nice to take the card out of the box and be ready to go but you can't fault it more than that. 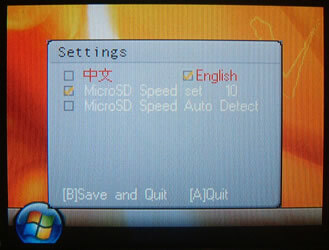 The Hybrid Tool is for patching and trimming roms for better compatbility and for fitting more roms on your microSD card. I'll tell you more about this later. The menu is replica of moonshell. 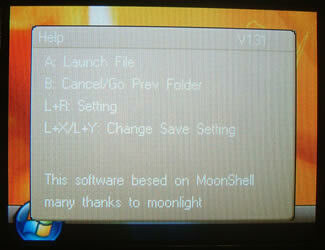 If you have used moonshell before then you will be perfectly at home here. You can play your .mp3 files and .dpg video files from the main menu and can continue browsing while the mp3 is playing viewing .jpg files as you go. Moonshell is about as good as it comes so the EZ Team made a good move when they chose this. Of course the menu is just as skinnable as moonshell and uses the similar skins easily availabe on the net. There is a fundamental difference between this menu and moonshell though and that is that you can launch your commercial games from it. When you highlight the roms you see the icon for the game on the bottom screen and when you next load the EZ5 the previous game save data is written to the microSD card but i will discuss saves more later. I left mine on auto for the tests and would only change this if I experience problems with running roms which is what I will go onto next. There is also one other option which is used when loading roms. You can change this by holding L and pressing X or Y to further improve game compatibility by forcing the size of the save. I needed to do this for one game which I explain below. After the highly impressive performance of the card leaving me with nothing not working using clean roms. I thought it was about time I tried out the hybrid patcher to see if this would fix the few minor issues that were there. First up I installed the hybrid software, easy enough. The actual software is simple and easy to use with a nice GUI which has a selection of 2 skins (pictured above). 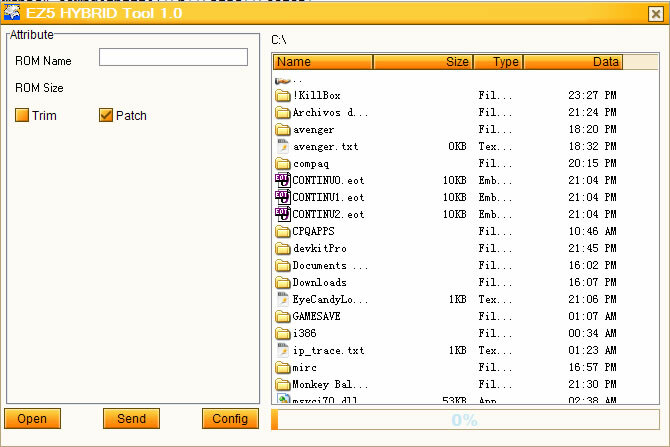 It is a fairly simple process of selecting your send path, choosing whether you want to trim and/or use the compatbility patch, finding your rom and let the patcher fdo the rest for you. Overall I'm very impressed with the EZ Flash performance so far and the patcher helps to improve some small issues that were not necessary to fix whilst it does break some others. One thing I must note before I continue is that I did experience corruption in the save folder on occasions while testing the roms. 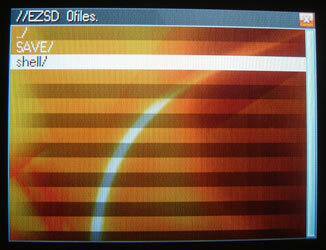 Whilst my saves were still there also were a few corrupt files with sizes of over 2GB (on a 1Gb microSD!?) but a quick format sorted this out. I put this down to me adding and removing so many roms at a time and my microSD card not liking it too much but it must be noted. 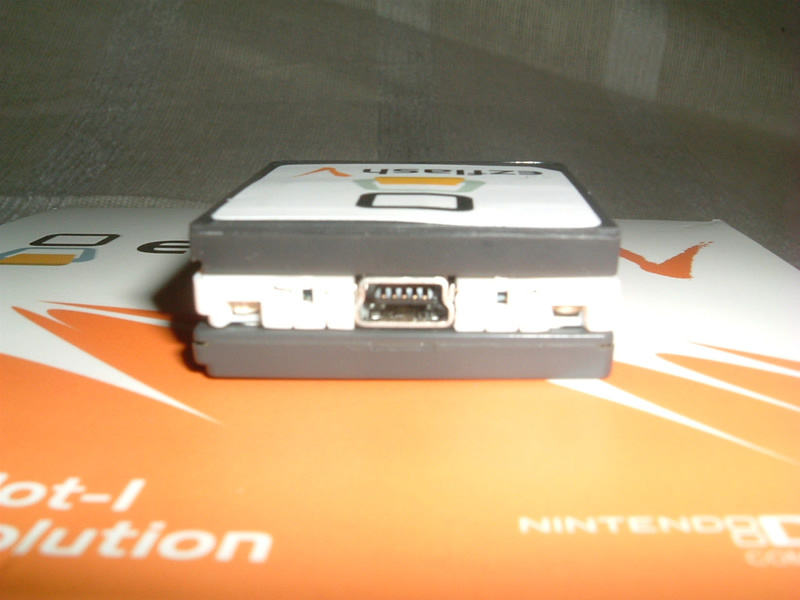 The box boasts DS Homebrew support which is true in the fact that already the FAT lib is available already at the downloads link I posted at the top of this review. I wanted to try out some old favourites on the EZ Flash though and see how it stands up to what is out there already. Considering the FAT lib has only just come out it was good to see some of the old homebrew working and you can see pretty much what is going to work and not work from here. For instance I didn;t try DSFTP as the main point of it is being able to write to FAT so the process would have been pointless. 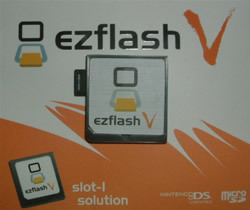 Overall I was more than impressed with the EZ-Flash V. From the build quality to usability it to me is second to none. Perhaps touch screen icons for some people are nice but you really cant fault booting directly into a moonshell interface with everything at your reach from the get go. A few points have been deducted for having alot of stuff to update to get you going but other than that it is fantastic and I would recommend it to anyone. 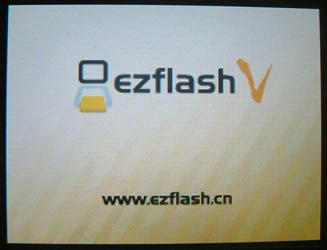 The EZ Flash V can be bought from kicktrading for the reasonable price of US$49.95. + Homebrew working already although FAT support needs to be added by the developers of the homebrew apps/games. - Requires some work to set up out of the box. - Minor glitches experienced with one game from test. - microSD slot is a little awkward to remove the SD card and perhaps could have been on the top of the card. Wow, damn nice review Retro. I miss you, lol You, me tomorrow night IRC, don	be late we have a lot of slot 1s to talk about. Everything ran without the patcher but it was needed to speed things up a bit and it did fix some save issues which otherwise needed to be fixed by forcing the save size. Overall I would have been happy enough without it though. Thanks for the review retro, but are you going to review M3 Simply anytime soon? 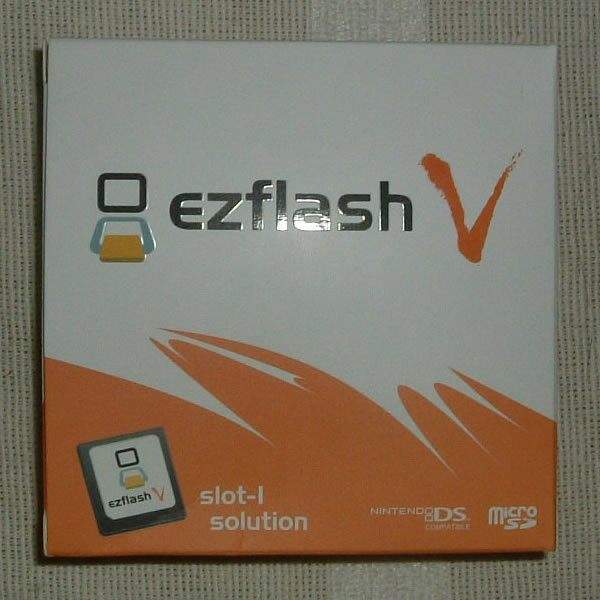 Saw your review of the EZ-Flash V... and was wondering how you got the NDS Browser to work. I have tried everything and nothing seems to work. Can you give me a detailed of what to do? Got it to work.... Thanks retro. Performed 11 Queries in 0.01381 Seconds. The page rendered in 0.25954 Seconds.